After financial worries, Notts County announced their ladies team was to fold, days before the start of their season. FOOTY.COM looks at what could've been done to save the club. 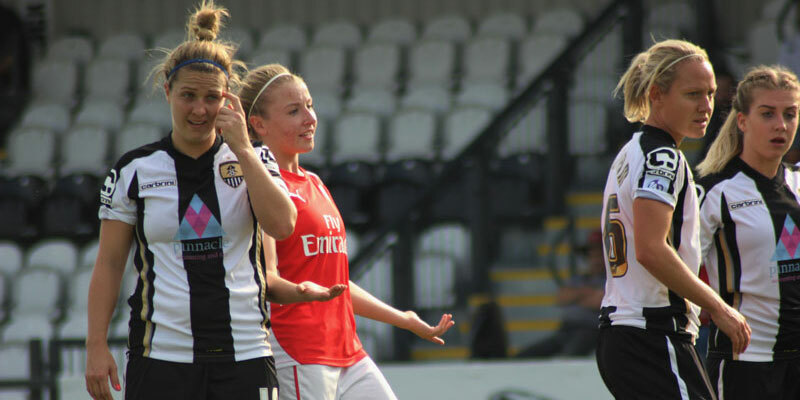 Labelled as a sad day for women’s football, just two days prior to the Women’s Super League Spring Series was due to get underway, Notts County Ladies were dealt a gut-wrenching blow with the news the team was being folded. Although there has been uncertainty around the club’s finances, it should have clearly offered the players more warning. In an age of football when communicating with your players is easier than ever before, the fact the board didn’t inform the team before it was common knowledge on social media smacks of unprofessionalism and a disjointed club. With several England internationals, including Carly Telford, Laura Bassett, Jo Potter and Jade Moore, finishing 6th in the Women’s Super League One and reaching the 2015 FA Cup final, the club was far from struggling on the pitch. An alternative solution to folding, in the short term, could have been going down a similar route to Sunderland Ladies and reverting to part-time players rather than full time to save money. Had the club put in place back-up plans, it would’ve allowed players to have left in the transfer window, which would’ve generated some revenue for the club at least. Now, however, players are in limbo, unclear if they’ll be able to sign for another top-flight English side this season. The whole debacle underlines the under investment within women’s football. If this is to be prevented from happening again, more money and security has to be injected into the women’s game. It all boils down to how much revenue each side of the game can attract. Although the women’s game continues to grow and attracts more fans, it still pales in comparison to the men’s side in regards to income. However, that by no means justifies why the female players weren’t given the decency of finding out their fate before the rest of the world did. Alan Hardy, owner and Chairman of Notts County Football Club,expressed his sadness in having to fold the women’s team, however he failed to state if the club would help players find new teams. The FA and PFA have been left to throw the club a lifeline with their support. Possible investment from other clubs could have helped prevent Notts County Ladies from liquidation, but the risk of losing more money may have been too great. The likelihood of Hardy taking money from the men’s side and funding the women’s would have unlikely, while financial help from other clubs (similar to Bayern Munich and Borussia Dortmund in 2004) was just as unlikely with each side focusing on funding their own women’s team. Even though the women’s game continues to grow and develop on the national stage, it may be some time until we see further investment and security throughout the women’s top domestic leagues.